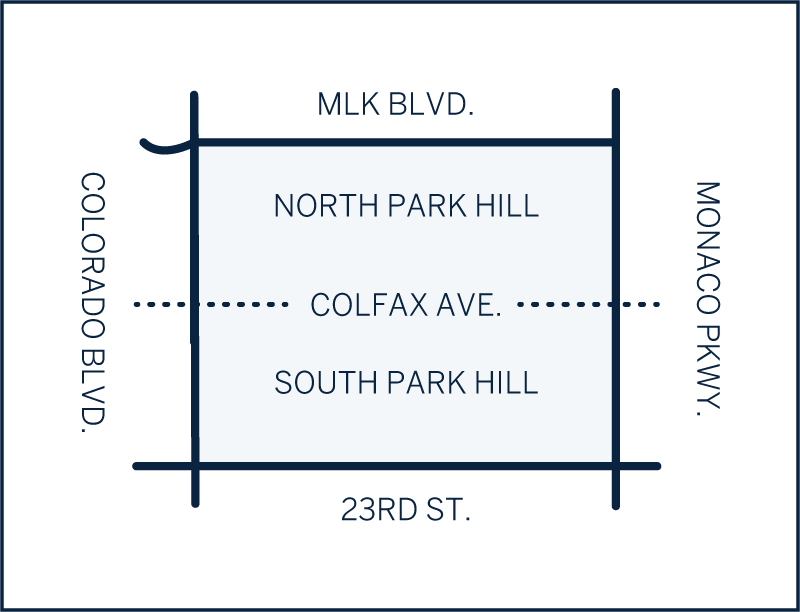 Park Hill is located in the northeast quadrant of Denver and is well-known for some of the most beautiful parkways in the city, including 17th Avenue Parkway, Forest Parkway between 17th and 19th, and Montview Boulevard. Boasting mature trees and true pride of ownership, Park Hill is home to a diverse population that attracts business executives, growing families with children, and young couples alike. The close proximity to downtown and City Park, plus easy access to Denver International Airport, make this historic neighborhood sought after by many. Here you will find single-family brick homes, elegant Georgians, Bungalows, and Tudors, plus newly built custom homes ranging in price from the low $400’s up to multi-million dollar estates.